It used to be that when a film was a hit, you'd get a sequel- maybe a trilogy if you're lucky. The latest trend though is the "Cinematic Universe"- why settle for one film when you can have dozens? Following the huge success of The LEGO Movie, Warner Bros have gone full-steam-ahead in turning the LEGO Universe into a franchise, ordering not only The LEGO Movie Sequel, but also Ninjago and the LEGO Batman Movie (yay!). 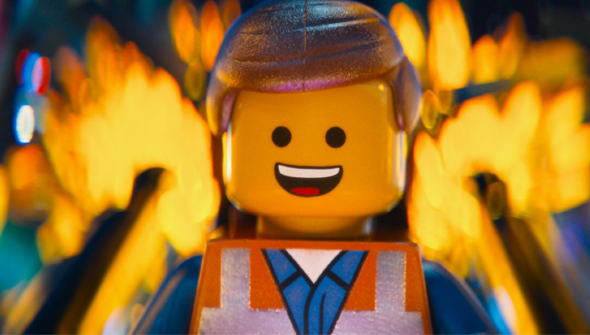 This can be seen as risky prospect- arguably The LEGO Movie's success was down to the genius of Lord and Miller- rather than some huge appetite among the audience for Lego-based properties. Now yet another LEGO flick has been announced- the spin-off The Billion Brick Race- but is it a film too far? The talent involved gives us reason to be optimistic. The film will be written and directed by Jason Segel and Drew Pearce. Segel may be best known as an actor in R-Rated comedies and sitcoms, but he's got form working with beloved children's properties- as the co-writer and star of the fantastic 2011 version of The Muppets. UK-born Pearce has previously written screenplays for Iron Man 3 and the TV series No Heroics. This will, however be the pair's first attempt at feature directing. Phil Lord and Chris Miller have signed on as producers. A release date for The Billion Brick Race has yet to be announced.